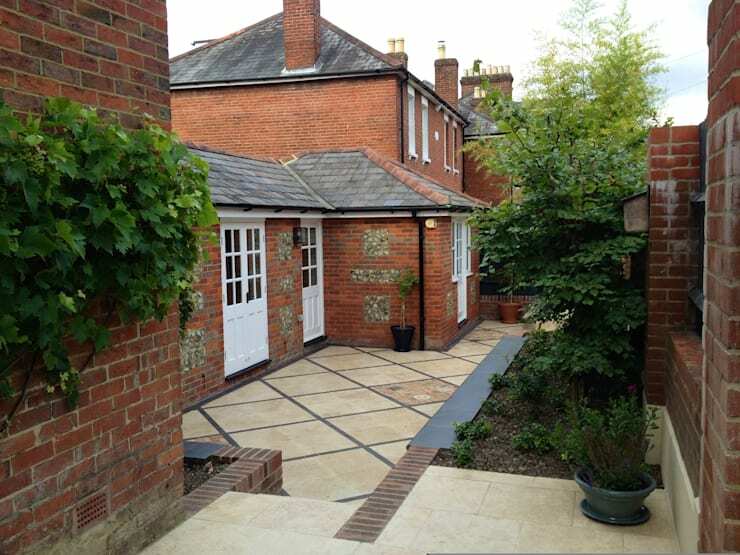 Here, we see the same view of the courtyard garden, with a totally new lease on life! The brief provided by the clients was to encompass a Mediterranean and Moorish vibe, giving the occupants the opportunity to feel as though they are on vacation even within the confines of their own property. 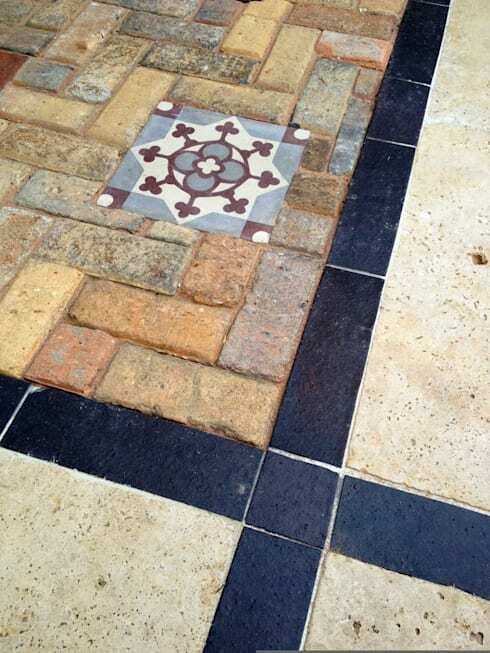 As you can see, the floor has been totally changed with a wonderful series of large tiles added for maximum impact. A general rule of thumb in design, especially when tackling small spaces, is to use large tiles—they instantly makes a space look larger. 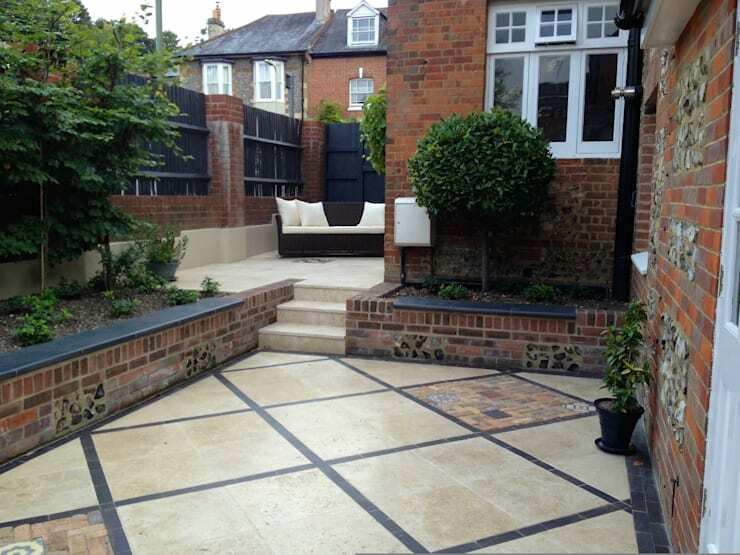 The existing raised planter boxes were capitalised upon, and have been landscaped to perfection. The Mediterranean feel here is met with a spot of British charm through the carefully pruned hedges and plants. The dark coloured ledge of the planter boxes complements the dark edging of the tiles, creating a dramatic and uniform look. Of course, attention to detail is of utmost importance, and so as not to detract or draw away from the calm and openness of the space, the detail of the new courtyard is clever and subtle. Inside selected spaces, we find a more decorative patch, where stones have been added in a herringbone pattern and finished off with an ornate and decorative tile piece. As we know, it's the smaller details that make up the bigger picture, with little splashes of interest such as this, adding variance and a point of difference. Lastly, the raised section we saw in the background of a previous image is on show here. Again, we see another intricate tile detail, this time made up from smaller stones and tiles merged together to create a crest-like pattern. No garden or outdoor area would be complete without a place to relax, so a brown wicker lounge with white cushions was added as the cherry on top. What a wonderful place to read a book, enjoy a glass of wine or even bask in the the morning sun. 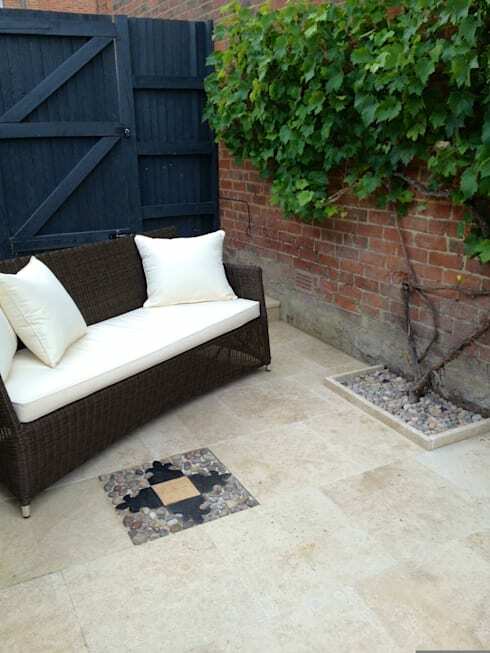 - How do I maximise space in a small garden? 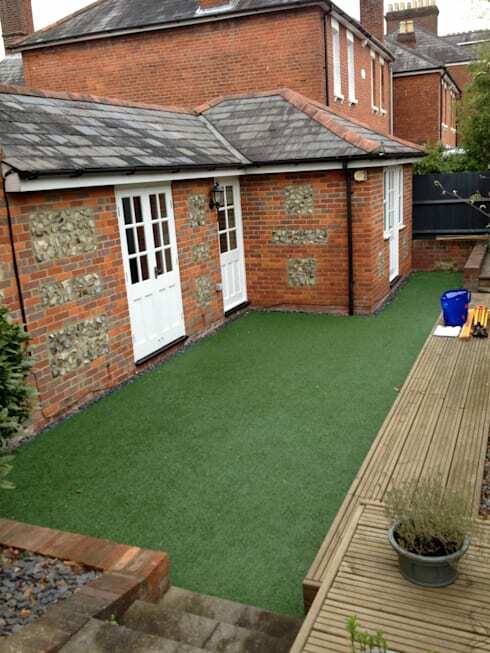 What is your favourite part of this courtyard renovation project? Would you have done anything differently? Let us know in the comments below.